When: Mid-June through the end of the marching season (October 26th) 2019. 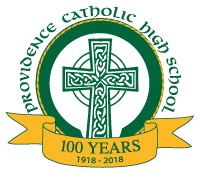 Providence Catholic HS is looking for individuals to teach marching brass, woodwinds, percussion, and colorguard during the summer and fall marching band season. The ideal candidates would be able to teach and instruct the students at our weekly rehearsals and sectionals throughout the summer and fall. Duties include running music sectionals, marching basics & technique, and assisting with full ensemble. Our weekly rehearsals during the school year for full band are usually on Monday afternoons from 3:00-5:30pm, and Wednesday evenings from 5:00-9:00pm. Candidates should also be able to attend Saturday camps and competitions. *Colorguard applicants should have experience writing equipment and dance work, as well as be proficient in delivering instruction to students. A full schedule of summer camps and fall dates is available upon request. Interested applicants should complete the online application on the schools website ( www.providencecatholic.org ), as well as send a music or colorguard resume/bio with prior experience and several references to Lawrence Rogers: Director of Bands, Providence Catholic HS. After completing the online application this info can be sent to lrogers@providencecatholic.org . WGI/DCI or former teaching experience is preferred but ultimately the ability to teach and lead students with a positive attitude and strong work ethic will be a determining factor.